Many individuals, who suffer from mental disorders, seek professional help late or not at all, which increases the risk of chronification and reduces the chance of recovery. Insufficient services in the place of living, lack of information, shame and fear of stigmatization often prevent seeking help. The potential to reduce these barriers can be seen in anonymous Internet interventions, many of them were proved to be effective. The main problem reported across the studies is low actual use of the programs when disseminated to the public. 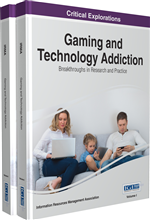 Gamification and serious computer games is seen to have the potential to increase user satisfaction with Internet interventions, motivation to use the programs and thus affect possible outcomes. We show examples of games targeting mental health improvement and awareness that have been scientifically evaluated. We also provide our experience with the development of a game targeting prevention and early intervention for eating disorders, disseminated in the Czech Republic together with the European prevention program ProYouth. Mental and neurological disorders along with substance abuse occur in every country, affecting people from all age groups independent of their income. Despite the fact that mental disorders account for a significant percent of the global burden of all diseases, 13% in 2001, people who are affected do not often get the treatment they need (WHO, 2013). The World Health Organization (2013) states that mental disorders are often connected with other non-communicable diseases such as cancer, cardiovascular disease, diabetes and asthma, and that people with mental disorders often engage in risky behaviors, e.g. risky sexual behavior, substance abuse, aggressive behavior, unhealthy lifestyle, dieting and eating problems. WHO (2013) further states that mental disorders are associated with higher mortality rates and have significant social and economic impact. According to the WHO (2013), more than 50% of homeless people and more than one third of prisoners suffer from a mental illness. Moreover, of all disabilities, severe mental illness is associated with a higher rate of unemployment, which is up to 90%. According to the WHO (2013), about 75% of people suffering from a mental disorder in lower income countries do not get proper treatment, and treatment is unavailable in 35% to 50% of all cases in other countries. Implementing strategies that increase awareness and facilitate prevention of mental disorders is one of the key goals of the WHO Mental Health Action Plan for 2013 – 2020. Early detection and intervention along with helping people to get proper treatment as soon as possible is crucial. Many affected individuals seek professional help late or not at all, which increases the risk of chronification and reduces the chance of recovery. There are several barriers to treatment. Besides insufficient services being in place and financial constraints, socio-psychological factors play a significant role. Lack of available information about treatment options as well as shame and fear of stigmatization often prevent affected individuals from seeking help. Statistics show that searching health information on the Internet is a common part of life whether we want it or not. Andreassen et al. (2007) report that in 2005, the majority (71%) of Internet users (which was 44% of the population-based sample in 2007) in seven European countries had used the Internet for health information purposes. The Internet therefore offers an opportunity for the provision of correct mental health information as a counterbalance to websites promoting risky and dangerous behaviors, e.g. pro-anorectic websites or pro-suicide websites. Many researchers utilized anonymous Internet interventions as a potential solution to reduce these barriers (e.g. Webb, Burns, & Collin, 2008; Cartreine, Ahern, & Locke, 2010; Barak & Grohol, 2011; Ben-Zeev et al., 2012; L. Farrer, Christensen, Griffiths, & Mackinnon, 2012; Bauer & Moessner, 2013; Paxton, 2013; Emmelkamp et al., 2014). Anonymous Internet interventions could be beneficial for those who tend to be individualistic and prefer independent ways of coping with problems (Barak & Grohol, 2011). Instead of having to disclose one’s symptoms and disabilities publicly, one can control the way in which his or her illness is communicated to others. These interventions allow for privacy (Ben-Zeev et al., 2012) and enable the patient‘s empowerment regarding managing his or her own health care (J. Proudfoot et al., 2011). Moreover, Internet interventions are available 24/7 and patients can work at home following their own pace, saving travel time for patients and therapists. They eliminate the need for waiting lists because patients can access these programs any time.